Is your website bringing you a constant stream of client enquiries and sales? If not, find out about my FREE Top Three Turnarounds Website Review here….. 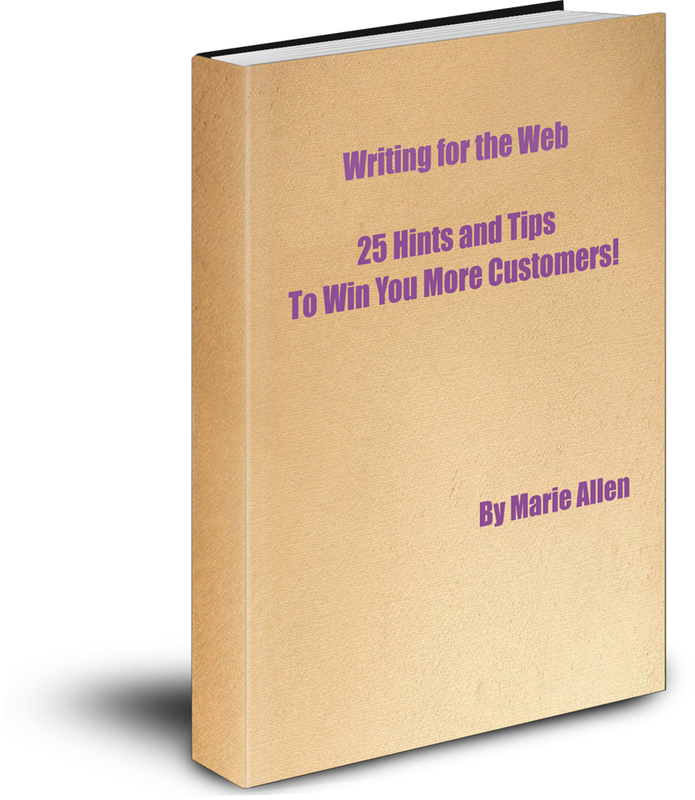 Turn your website wallflower into a thriving income-generator with this easy-to-follow web writing guide! 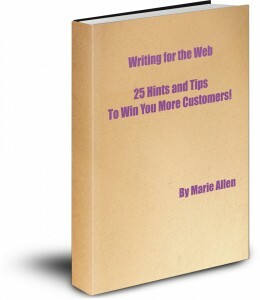 It’s packed with web writing tricks and techniques to skyrocket your web sales! !